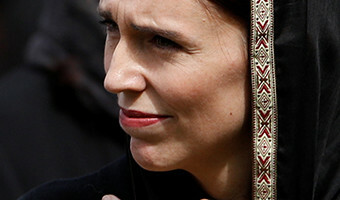 New Zealand’s prime minister, Jacinda Ardern, has received a lot of praise for her leadership after a terror attack on two Christchurch mosques that left 50 people dead. She has gracefully balanced policy, compassion and moral clarity. She is also all of 38 years old. In U.S. terms, she’s part of the generation of Ilhan Omar and Pete Buttigieg, a little closer to Beto O’Rourke than Alexandria Ocasio-Cortez. That’s also half the age of Joe Biden, Bernie Sanders and Nancy Pelosi, and more than three decades younger than Donald Trump, Elizabeth Warren or Hillary Clinton. U.S. politics in general, and the Democratic Party, in particular, appear to be heading for a periodic reckoning with generational change – if not in 2020, then soon afterward. But Ardern’s moment in the global spotlight is a reminder of those countries that already have leaders in their 30s or early 40s. And while this generation is different in style, not everyone is as enlightened … [Read more...] about Young political leaders can be impressive. They can also be just as problematic as old political leaders.